Volume four in a series of Chopin's complete piano works from Italian pianist Adolfo Barabino contains the famous Piano Concerto No. 2, still considered among the most celebrated Romantic works of this genre. 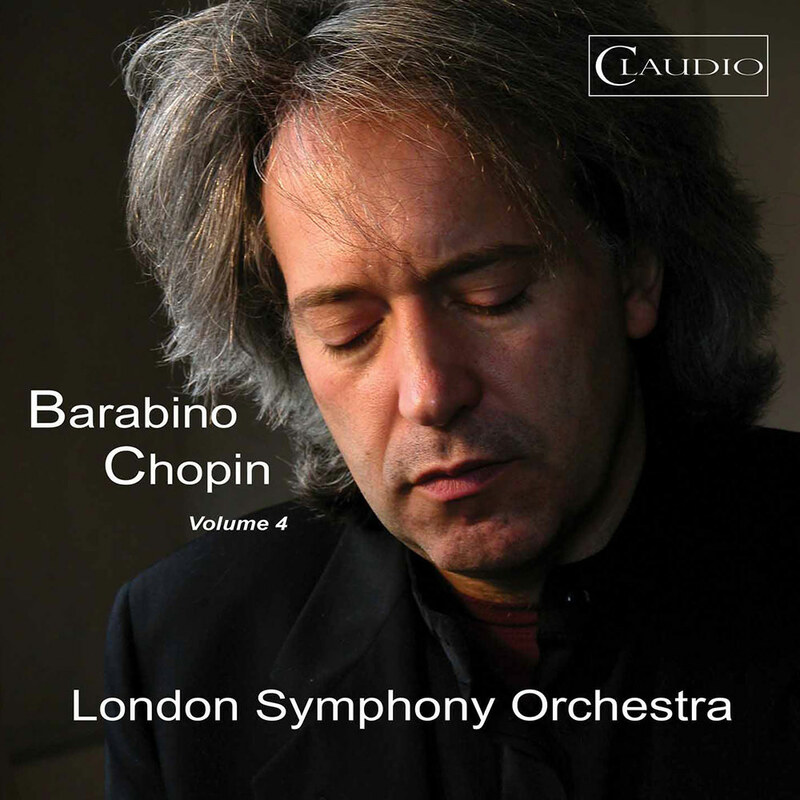 Renowned Chopin interpreter Barabino is accompanied on the lyrical and delicate concerto, said to have been Chopin's favourite, by the London Symphony Orchestra under Lee Reynolds. Also on the collection are Chopin’s Mazurkas, which would not exist without Polish folk dances and Polish folk music, along with his Berceuse, inspired by a friend's toddler. This album was recorded, controversially, using only two microphones with all musicians closely side by side, resulting in a warm, natural sound.